NOW ACCEPTING 2019 YPO APPLICATIONS! WELCOME TO THE OFFICIAL HOME OF THE YOUTH PEACE OLYMPICS. 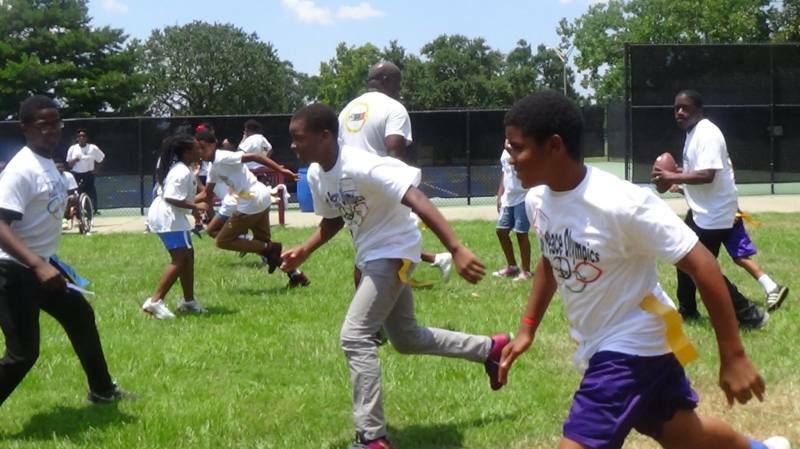 Tired of seeing violence take the lives of Baton Rouge youth? Ready to show the world that you're not too young to make a difference? Youth Peace Olympics is the program for you! 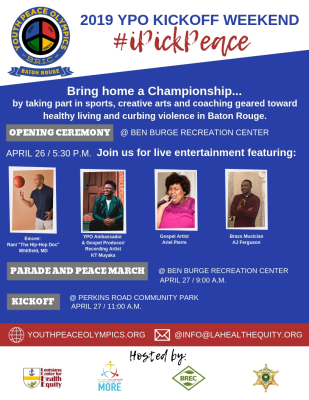 COME CELEBRATE WITH US AT THE 6TH ANNUAL YOUTH PEACE OLYMPICS KICKOFF WEEKEND! 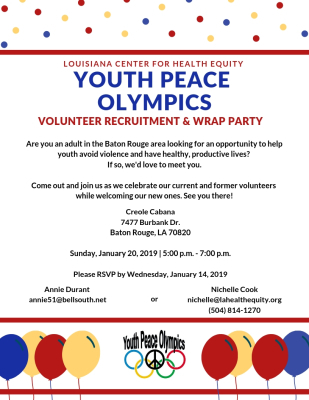 On January 20th we set aside time to honor our current and former Youth Peace Olympics volunteers while welcoming new ones. The experience was absolutely amazing! Volunteers received awards for their contributions to the program and were encouraged to continue changing the lives of Baton Rouge youth! It's been 5 amazing years since YPO's launch and we couldn't be more excited! So far we've impacted the lives of over 250 Baton Rouge youth, and we're looking forward to making 2019 our best year yet. Click the video to catch a glimpse of what we've been up to. This year LCHE kicked off it's annual YPO fundraising efforts with the 'Light Up The Night" Gala, which was held on Sunday, November 18, 2018. 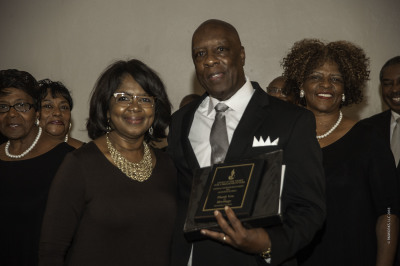 The event featured a silent auction, live entertainment, and much more. This year LCHE's goal is to raise $25,000 for the 2019 Youth Peace Olympics, a life-changing program. Any contribution, whether large or small, helps to reach that goal. Campaign efforts will extend until YPO's 2019 kickoff in April. Click ​​​​​​​​​​​​​​ here to view WBRZ's coverage. © 2018. Louisiana Center for Health Equity (LCHE). For more info, visit www.lahealthequity.org. LCHE is a statewide nonpartisan nonprofit organization with IRS status as a 501 (C) (3) tax exempt public charity established in January 2010. 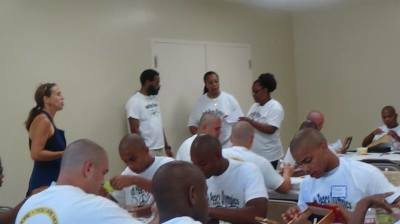 ​We partner with local law enforcement officials, community leaders, and subject-matter experts to facilitate interactive workshops on several forms of violence including gun violence, domestic violence, bullying, peer pressure and more. Our signature curriculum includes engaging activities to help participants develop positive self-image, healthy interpersonal relationships, and more. Activities include role-playing, drawing, journaling, etc. Participants receive personal finance tips including budgeting, applying for scholarships, managing student loan debt, saving, managing credit, etc. ​Participants have the opportunity to take part in a number of indoor and outdoor games and sporting activities including flag football, volleyball, foosball, table tennis, basketball, and more.